Cherish Alexander has a magical pen that dips into the dark crevices of the human heart that often haunt us. She draws strength from her experiences and exposes the raw emotions of her soul through her songs. “Songwriting has always been a natural process for me,” she reveals. Cherish began singing and playing the piano at age seven and playing bass and guitar since age 13. Early on Cherish landed a multi-album deal with major label RCA/BMG and publishing powerhouse Warner-Chappell. 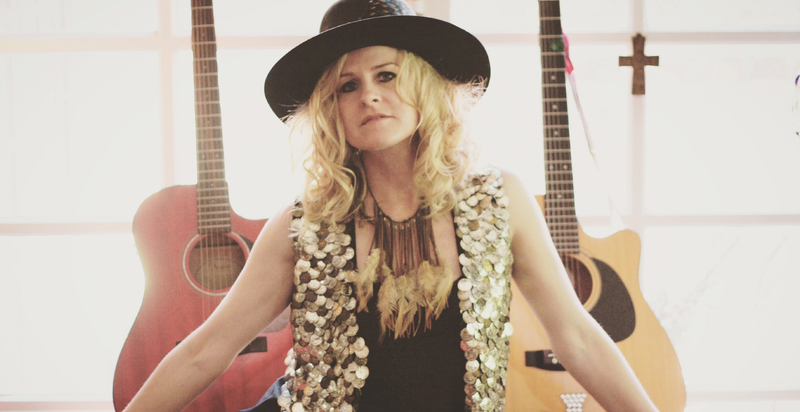 This partnership enabled her to hone her instinctual gift for songwriting. She has collaborated with songwriters such as John Shanks (Goo Goo Dolls, Jane’s Addiction and Alanis Morrisette), Gregg Alexander (New Radicals) and Billy Steinberg (Madonna, Demi Lovato). Since then, she has written 11 successful records and has recorded and toured nationally with many different bands. Her repertoire includes three albums as lead singer with the Los Angeles based rock band the Painkillers, one album and two singles as the lead singer/bass player for Bella Bazzaria, as well as three solo albums “Fallen Awake” (distributed in Europe on XYZ Records), Broken Open (on Red Queen Music with Paul Roessler in a duo called ‘Forever My Love No More’) and her latest “Meet Me Where You Are”. Her music has been used in TV and film soundtracks like “The Crow“, E! Entertainment TV, Lifetime Televison & covered by the pop artist Tiffany. She has written and jammed professionally with lots of different artists including playing lead guitar for Cyndi Lauper. “Today, my greatest aspiration is to bring the realism of life into music through my own experiences of light and dark!” Cherish says!